Men's ministry surveys reveal that the number one area of their lives where they want help is in their marriages. They know they should love their wives as Christ loved the church, which means sacrificing to put her needs ahead of their own. But what does this gorgeous, wonderful complicated creature need from her husband? This short, six-chapter book provides four biblical answers based on Genesis 2:24-25, 1 Peter 3:7, Ephesians 5:25-27, Proverbs 31-28-31. Not only does it provide clear targets on the wall for which husbands can aim, but it reignites the passion in men's hearts to love their wives well, for Christ's honor. Here are the words of one enthusiastic pastor who saw the impact of this book on his men. 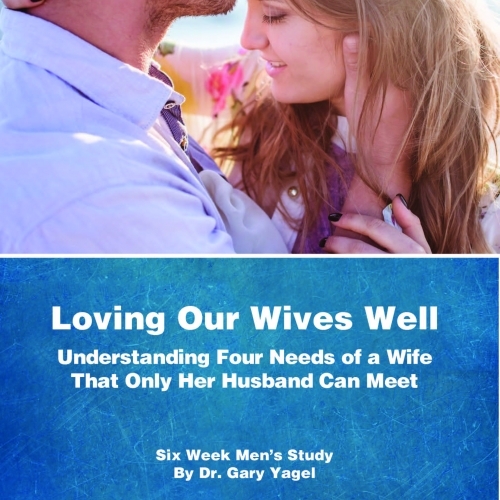 I have used the “Loving Our Wives Well” study with the men in my church and it has been a great tool. My guys are really responding to the material. It is challenging, it hits us right where we live, and I'm seeing my guys excited about what they are learning and wanting to put it into practice. Better than that, I'm hearing positive feedback from the wives of those men and that is really encouraging. This material is biblical, it is gospel centered, and it is easy to use. John Armstrong MDiv, MAMFT, Faith PCA Church, Frederick, MD. The six-chapter study with discussion questions make this an ideal tool for an elder to go through at a monthly lunch with one of the men under his care or for guys to use who regularly meet for accountability and soul sharpening and want to focus for six weeks on being more godly husbands. The discussion questions make it great for men's small group Bible study, or it can be read in an afternoon by a man who is just confused about what his wife needs from him.